In 1978, the still-young village of Hoffman Estates decided to do something for the future rather than throw themselves a twentieth birthday party. As a lasting memorial they commissioned a sculpture to be designed by Robert Gadomski, their artist-in-residence, in conjunction with the students of Hoffman Estates High School. 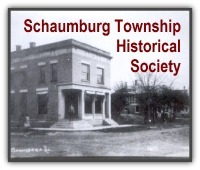 District 211 and their board president, Robert Creek, were influential in moving the project forward by obtaining a grant as part of the artist-in-residence project. At the time, Village President Virginia Hayter said, “We felt we would like to have something permanent that would have significance both now and in the years to come.” (Daily Herald, October 13, 1979) An expenditure of $1500 was then allotted for the design, construction and erection of the artwork. 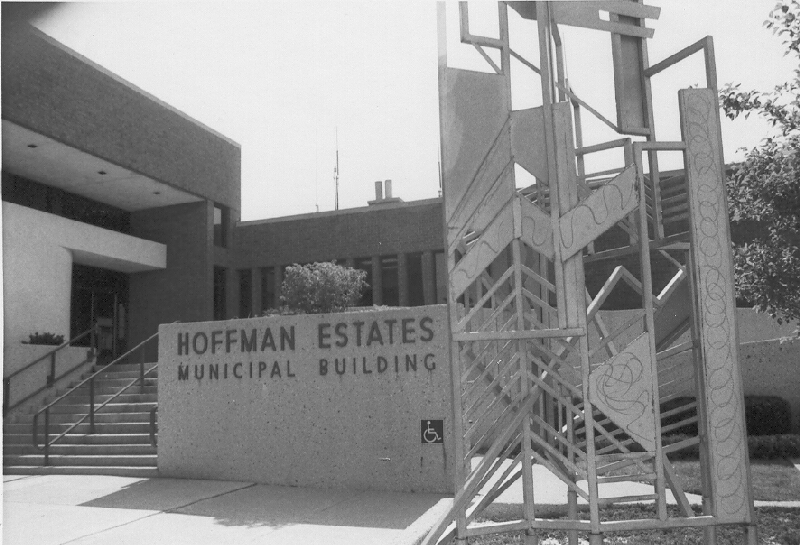 The sculpture was dedicated on October 13, 1979 at the Hoffman Estates Village Hall that was then located at 1200 N. Gannon Drive. The ceremony was attended by Mayor Hayter, the Hoffman Estates Board of Trustees and Robert Creek, President of the District 211 School Board to name a few. 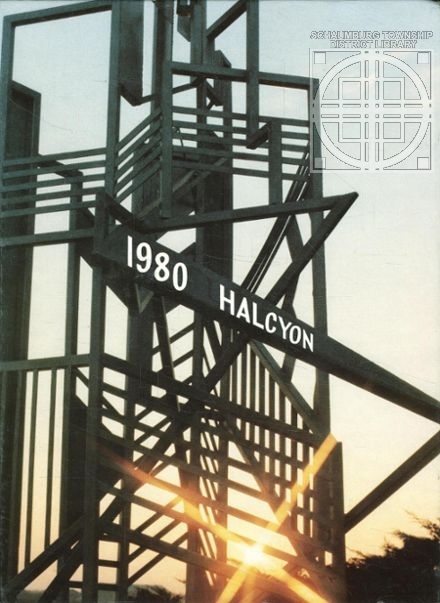 Tracey Partin, one of the blog’s readers, mentioned that the sculpture even graced the cover of the Hoffman Estates High School’s yearbook in 1980. She graciously passed along a photo of the cover. Around 1985 or 1986, the sculpture was removed from the village hall grounds. It was not replaced nor was it placed on the current village hall grounds on Hassell Road in 1992 when the village offices were moved. Do you remember the sculpture? Or, were you at the dedication? Maybe you were one of the Hoffman Estates High School students who helped with its construction and remember the process? Let us know your impressions of this unique piece of art.